REC Awards 2018: Last week of voting! 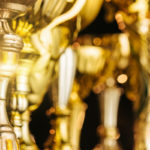 As the voting deadline for Real Estate Capital’s annual awards draws near, competition is fierce across several categories. REC Awards 2018: Keep the votes coming! Why not take a moment during the festive period to have your say on 2018’s top performers? Help the Real Estate Capital team select which firms will appear on our shortlists for the most prestigious and comprehensive awards in the European real estate finance industry. Commercial and investment banks dominated in several categories, demonstrating their continued reach across Europe’s markets.